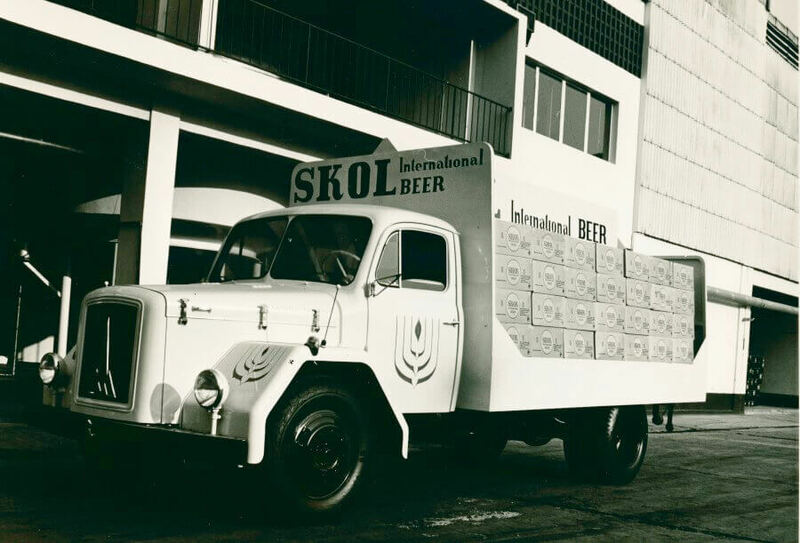 After four brewers (Allied Breweries, John Labatt, Pripp-Bryggerierna and Unibra) came together in 1963 with the aim of producing a global beer of the highest quality, by sharing their combined years of brewing and marketing knowledge, they created and launched SKOL in 1964. 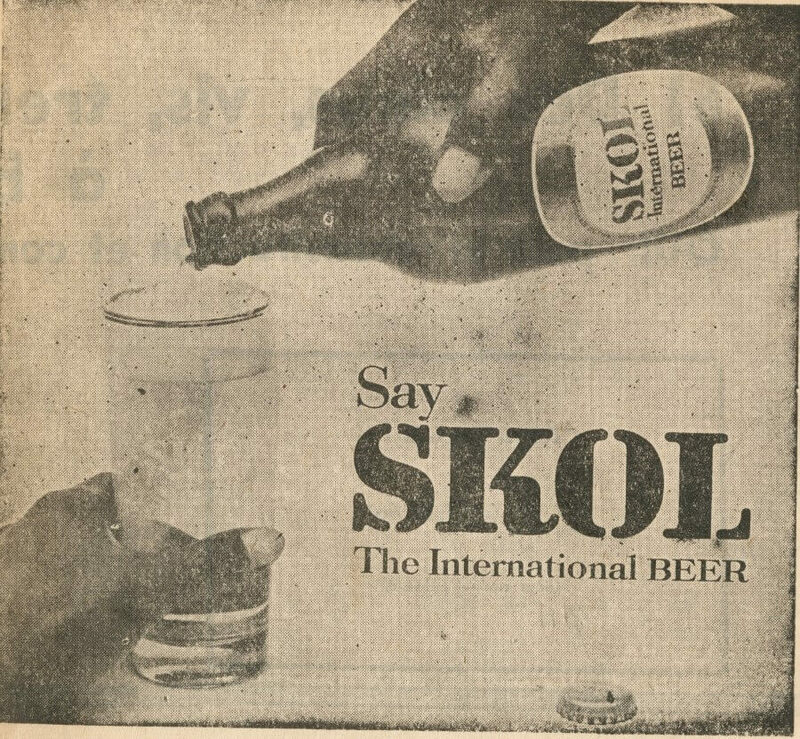 SKOL, a truly international brand, has since been introduced into more than 30 countries. 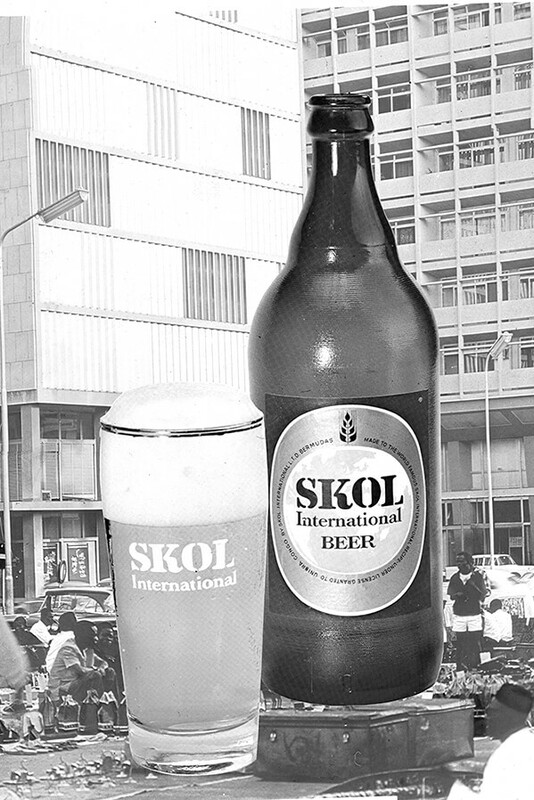 Unibra successfully launched the first SKOL in a 72cl bottle throughout the country in 1965, with the first beer sold in Kinshasa (Leopoldville). 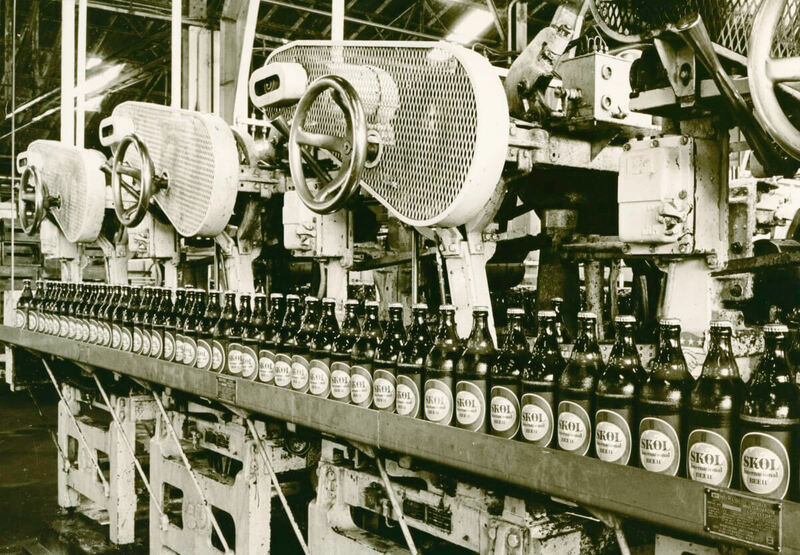 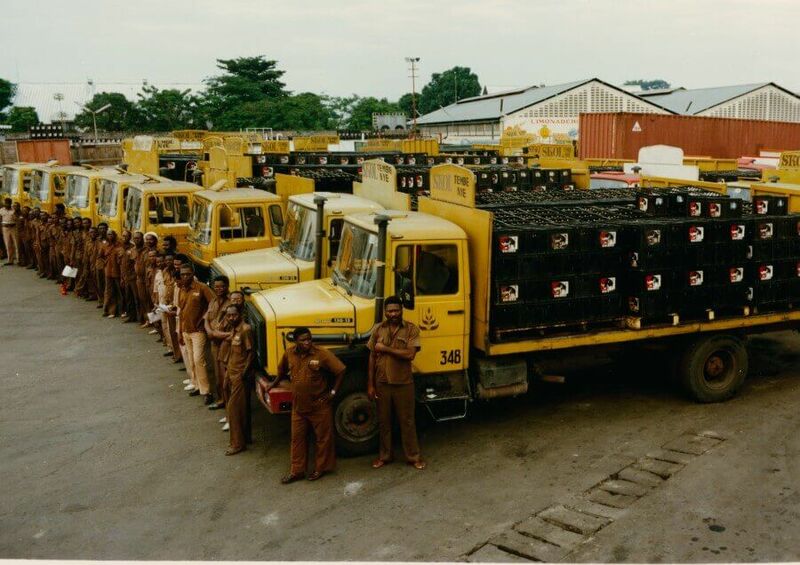 By 1980 almost one Million hectoliters, or almost 139 Million bottles were sold every year. 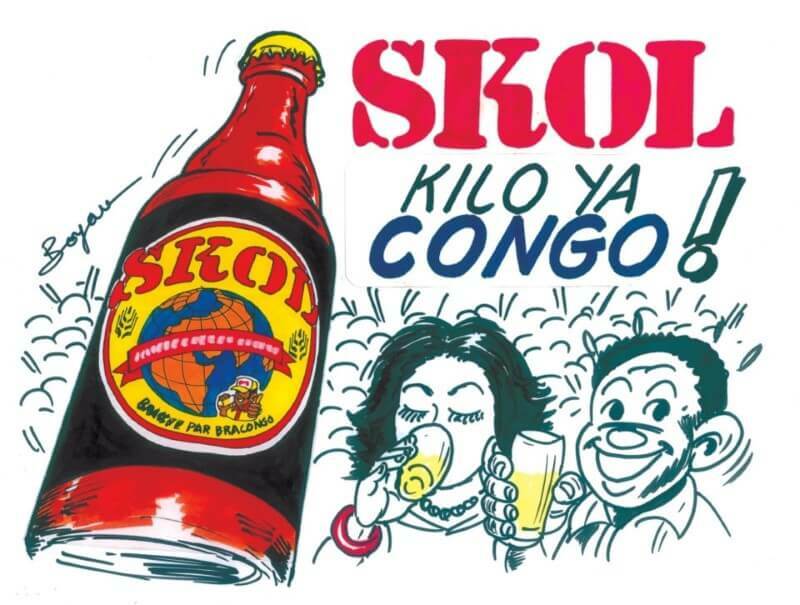 The late ‘80’s was a truly great time for SKOL in Africa with new brand design labels for DRC/Zaire in 1987, SKOL launch into Guinea in a 50cl bottle and the creation of Tonton SKOL, by Denis Boyau in 1989. 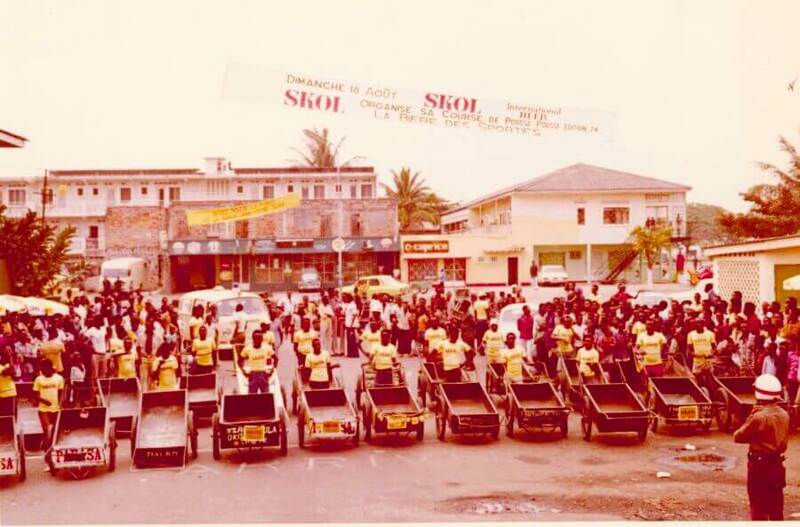 Tonton remains an iconic figure in DRC even after withdrawal in late 2000s. 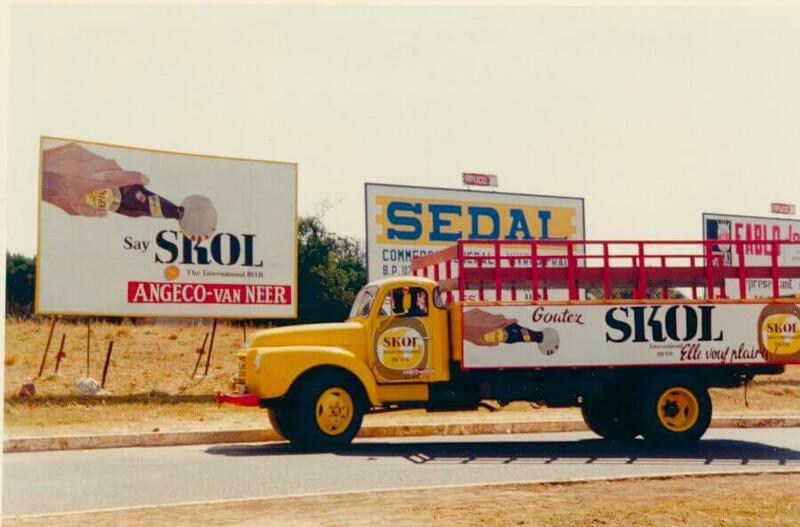 To keep abreast of trends, expected of an international brand, the first SKOL in recyclable cans were produced in DR Congo in 1995. 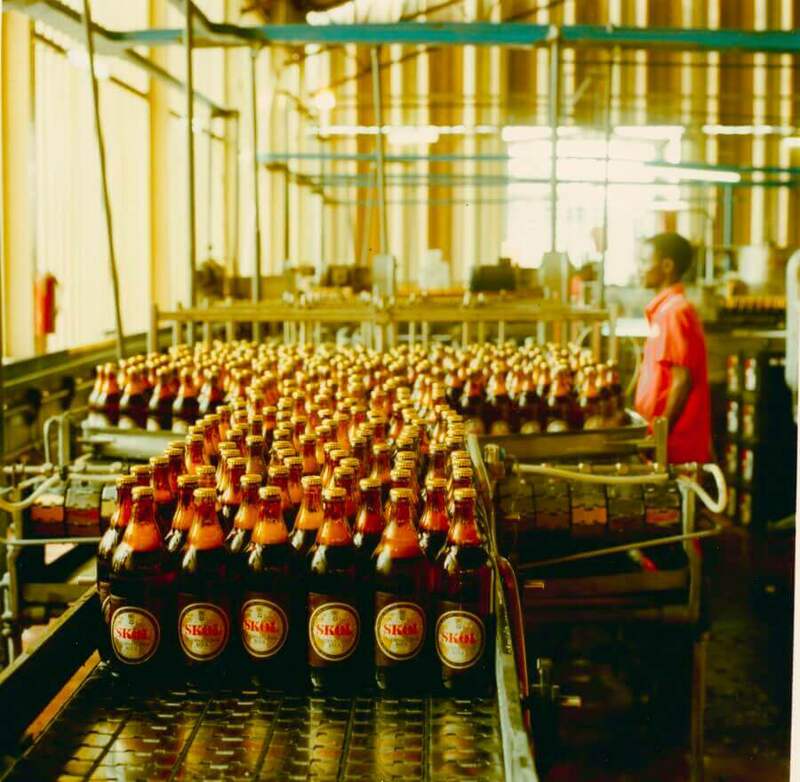 The design for labels and communication were also enhanced in 1996, while at the continent level in 1997, Zaïre reverted to Democratic Republic of Congo. 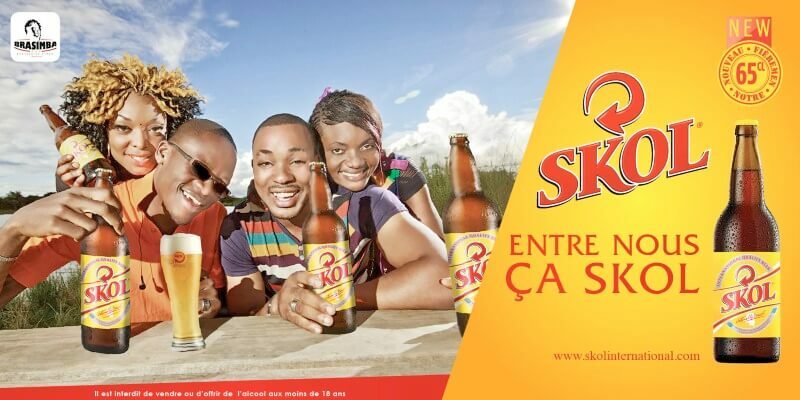 In addition to the core brand offering, SKOL Special Strength is successfully launched in Guinea, in a 33CL Bottle at 6% Alcohol by Volume strength. 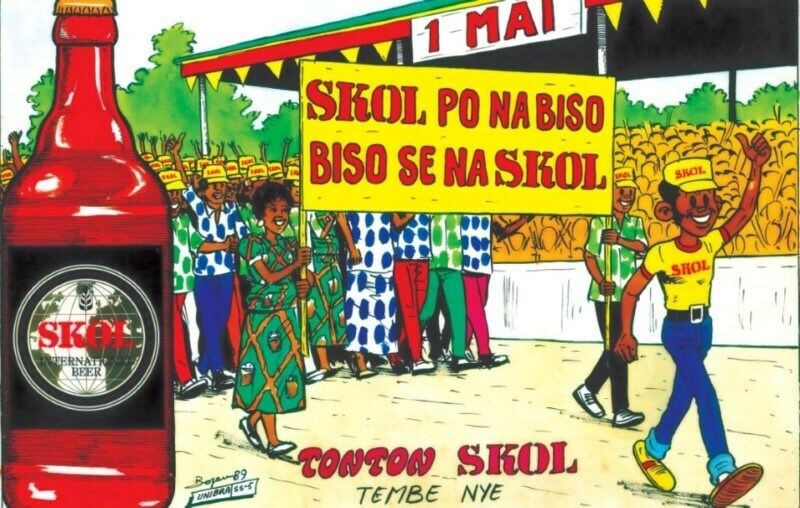 With the success of the TONTON character in the DRC, he first appeared on their bottle labels in 2002. 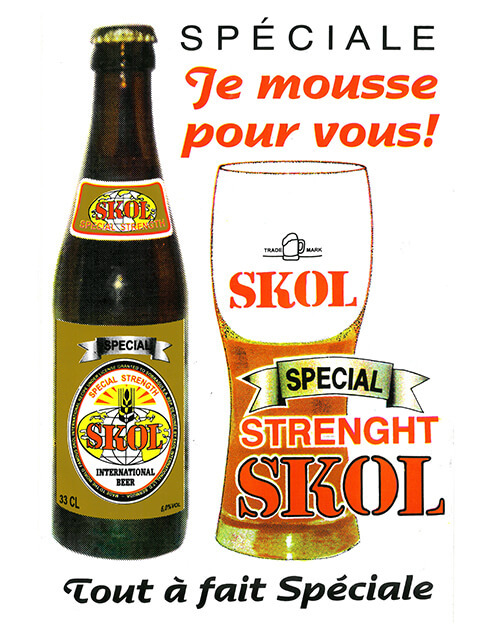 The SKOL 33cl can was introduced to Guinea in 2008 and in DRC, SKOL designed a new oval bottle label in 2009. 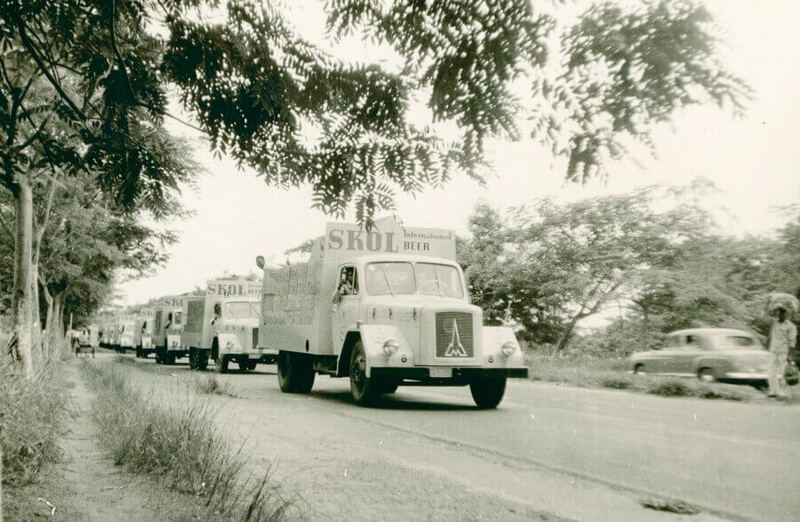 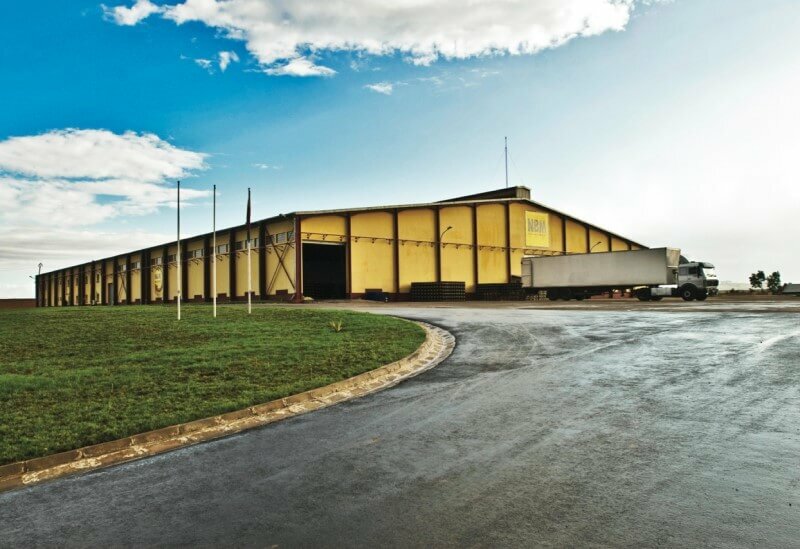 SKOL was launched into Madagascar and Rwanda after building new breweries. 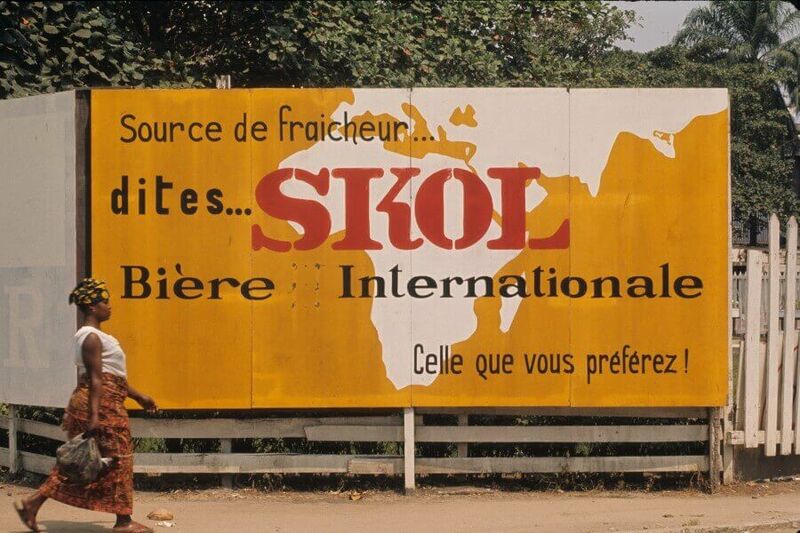 SKOL reached the lips of thirsty, grateful beer lovers in both countries in 2010. 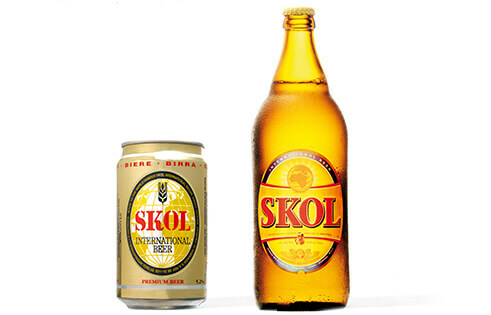 Both breweries are selling SKOL today. 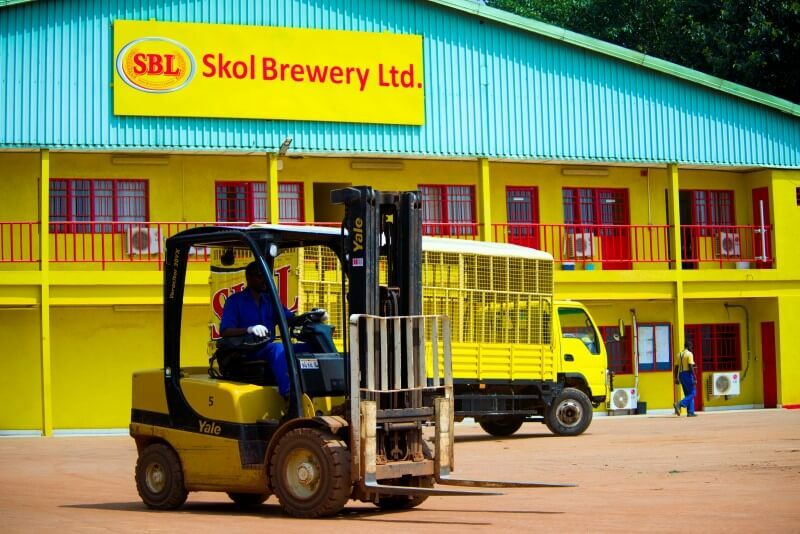 Rwanda brewery is called Skol Brewery Ltd, Madagascar brewery is called Nouvelle Brasserie de Madagascar and is part of Group Star. 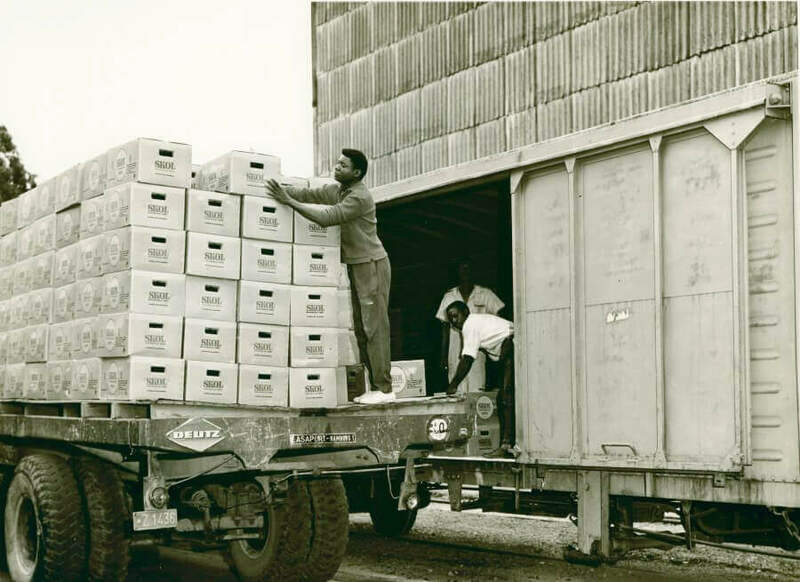 Check out their stories on their websites (see get social page). 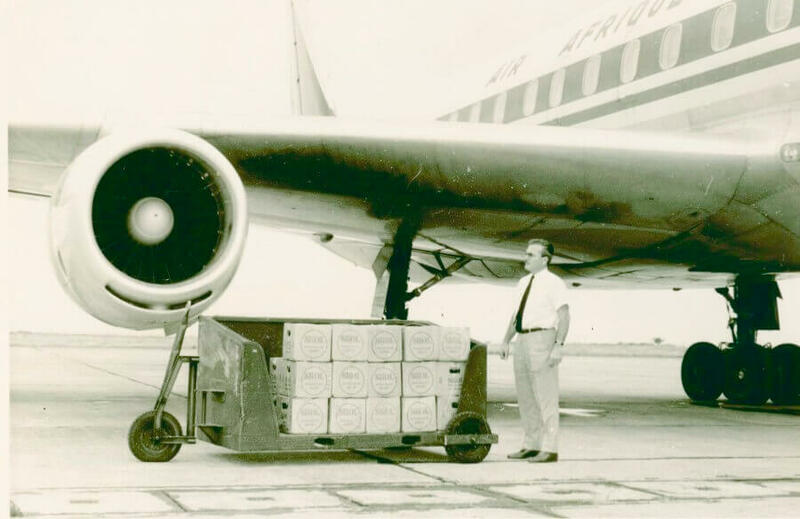 Logo design, in particular pack labels, are reworked to harmonize across Africa. 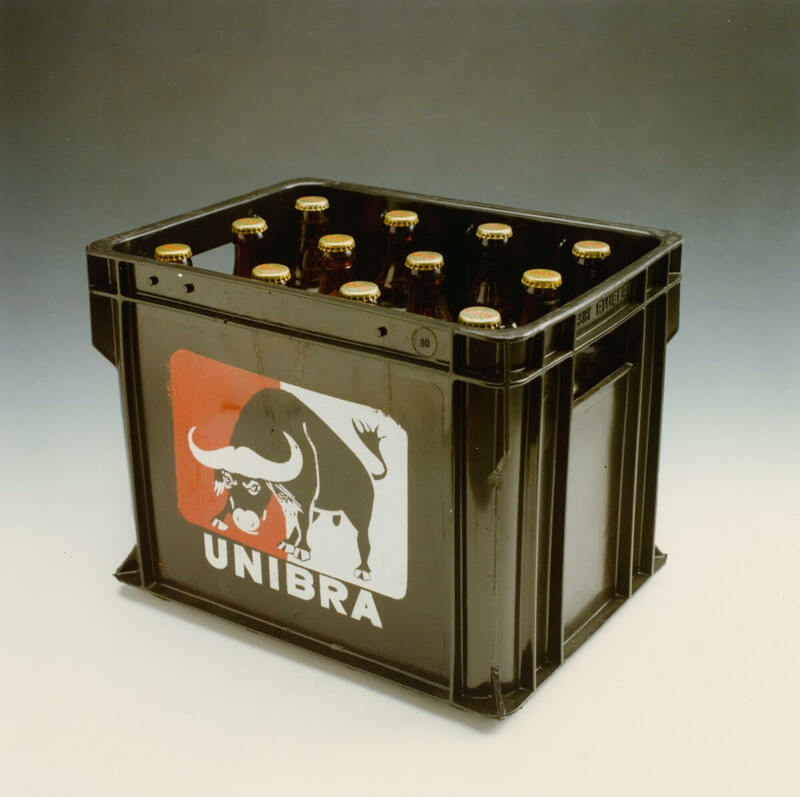 New bottle designs are created and launched. 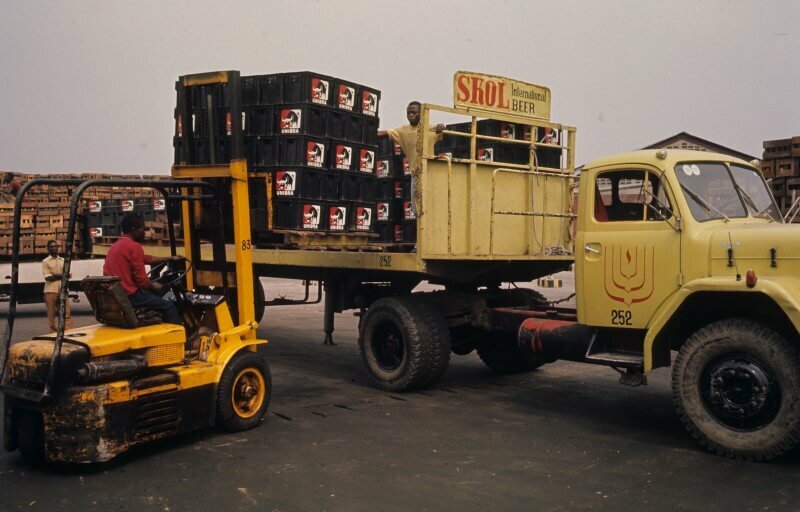 2013, Guinea launches a new bottle and can. 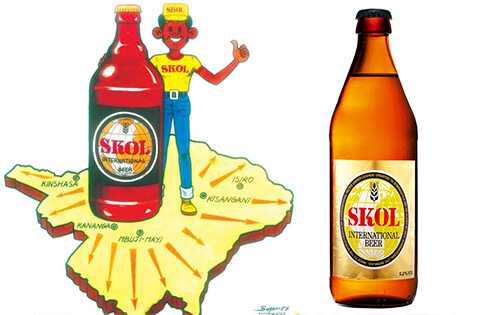 2014, Rwanda launches 50cl SKOL can & limited edition bottle. 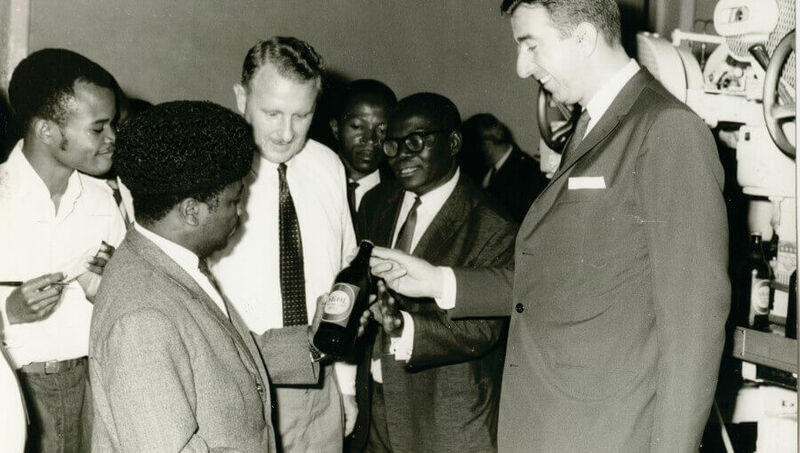 DRC launch the 50cl bottle with new labels design. 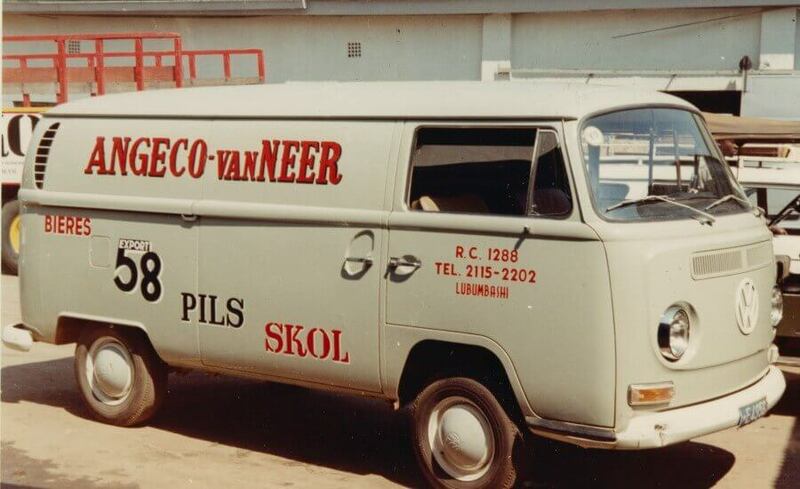 2015: Rwanda adopt the new design for the 50 cl can. 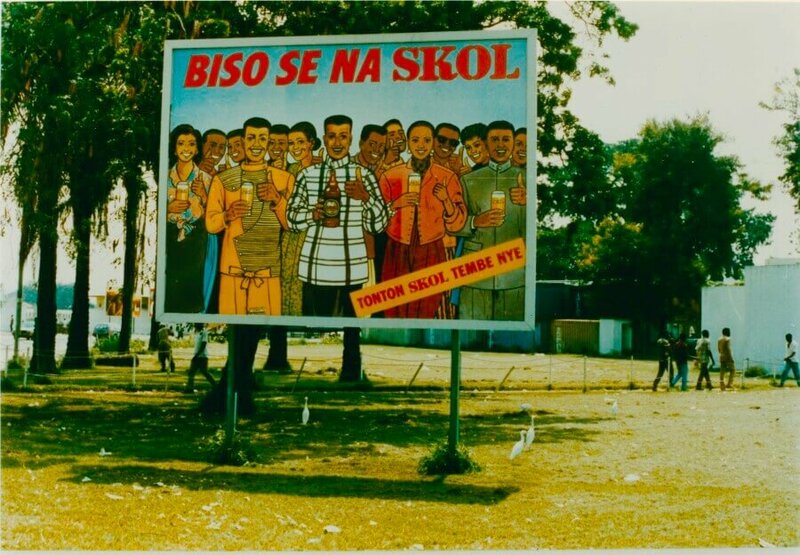 2016: Madagascar and Guinea adopt the logo redesign. 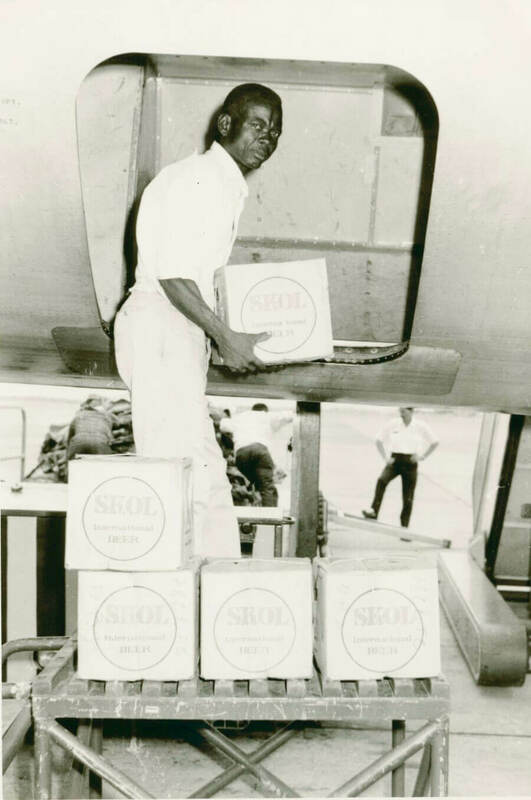 Rwanda successfully reintroduce SKOL Malt in a classic 33cl long neck bottle and the 65cl bottle. 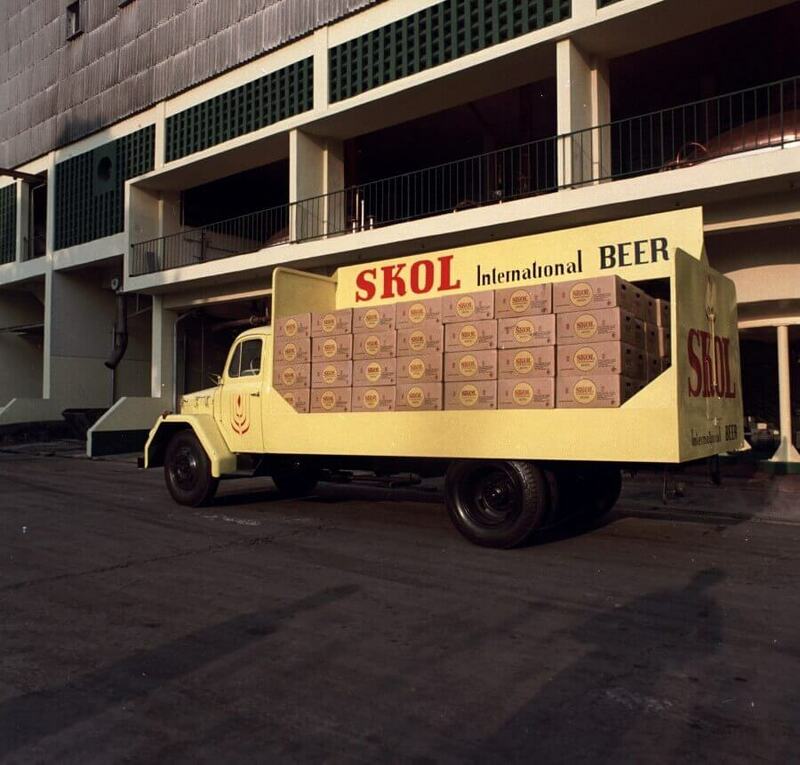 Since the launch SKOL Malt has grown at a fantastic rate, currently one of the best sellers in the beer market. 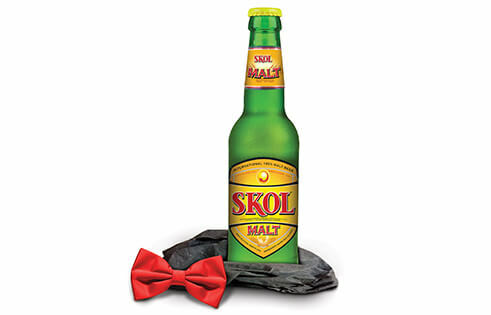 Beer drinkers love the fact that it is 100% pure malt beer, malted barley, water and hops, with nothing else added.